“Henry Glover wrote so many killer tunes it makes your mind bend.” Dr. John. Henry Glover was the first producer/writer in the American music industry, paving the way for a host of illustrious followers such as Phil Spector, Leiber & Stoller and Burt Bacharach. Composer, producer, arranger, publisher, talent scout, vocalist, trumpet player, engineer, A&R executive, and, later, a label owner in his own right, Glover was one of the most talented music industry entrepreneurs of the twentieth century. The fact that he was black and working in an exclusively white executive environment makes his achievements all the more remarkable. 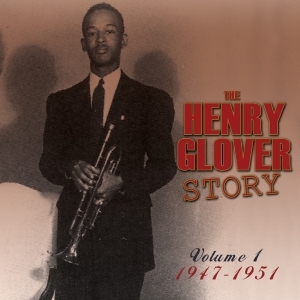 Glover’s formative years were spent at Cincinnati-based King Records and the majority of hits on that label during its golden era from 1947 to 1958 were Henry Glover productions. He was equally at home with white and black music. King Records owner Syd Nathan called him ‘a multiple talent’ . His pioneering work with Moon Mullican and Hawkshaw Hawkins combining blues and country predates Elvis Presley’s Sun recordings by several years. Glover tried his hand at doo-wop and rock’n’roll music, but he found his greatest success in the dance craze era of the early 1960s. In later years, Glover channelled his energies into forming his own record label (he launched the careers of The Hawks, who mutated into The Band, and of the recently departed Nick Ashford). One of his last productions was Muddy Waters’s swansong The Woodstock Album, which won a Grammy in 1975. This retrospective focuses on his songwriting. Often working under a variety of pseudonyms, he provided material for a host of artists from the post-big band R&B era of the late 40s, through to the doowop and rock and roll of the late 50s and the early ‘60s soul. This collection covers the first period, from the late ‘40s and early ‘50s.